Some time ago, an author friend gave me the heads-up regarding a brief-but-nasty review of Boneshaker (as well as this author’s own works) composed by someone who was irate over Amazon.com’s georestrictions. In short, because this man could not download our books to a Kindle (edited to add: Or otherwise acquire them, apparently) in Australia, he thought he’d take out his frustration on us. This isn’t altogether shocking, since we-the-authors are arguably the most public face of the publishing process; and, in the reviewer’s defense, when he was asked nicely to remove the reviews, he did so. Of course, his parting shot informed me that my books were available for free in “all the usual places” so he could always just download them anyway. Eh. One step forward, two steps back, I guess. But this brings up a couple of things that I’ve seen discussed a lot lately: (1). e-piracy and (2). authorial control, and I wanted to clear up a few of the more prevalent misconceptions on these subjects. Actually, I don’t have much to say about piracy because Nicole Peeler has already produced a pretty good run-down on the subject. However, when I linked her post on Twitter, I received some follow up questions regarding libraries, used book stores, and friend-sharing — so I’d like to take a moment to address them. In short, of course authors would love it if everyone could buy brand new copies of their books. But the next best thing is borrowing books from a friend or library; and no, most of the authors I know don’t have problems with used book stores, either. The reasons are primarily twofold: (1). original purchase, and (2). scale. (1). Libraries are very good markets for books, and we writers love them to bits. You see, if enough people line up to borrow a book, the library will purchase more copies of that book in order to reduce the wait. Therefore, the more people who want to borrow books from the library, the better. Also, libraries tend to be very supportive of writers from a promotional standpoint. They invite us to read, host our events, and often let local booksellers come in to sell copies at these events. To sum up: Libraries are good for authors. (2) If your friend has a copy of a book and loans it to you, that’s awesome. If you enjoy the book, maybe you’ll even go buy some other books by the author. However, I’m going to go out on a limb here and guess that you likely won’t pass that book around to a few thousand of your closest friends. Due to the restrictions of the space-time continuum, a physical object is unlikely to find itself enjoyed by more than a handful of people. The same principle applies to used bookstores. Really, at the end of the day, a used bookstore is just a borrowing service that comes with a fee. Right. Well then. Now let’s talk about authorial control. First, a disclaimer: Your mileage may vary. Everything discussed below is a result of personal experience combined with the fact that I know a whole bunch of writers, and we tend to talk about these things amongst ourselves. There are exceptions. These are generalizations, not stone-carved facts applicable across the board. The words. Yes, we are subject to editorial review, revision, and rewriting. Absolutely — and sometimes, quite a lot of it. But we are responsible for the content, and we usually have some negotiating room with regards to how it is handled. How we present ourselves to the audience. What we wear, the language we use, and the level of accessibility we offer — both online and in person — these are things within our purview. The book’s title. Titles get changed all the time, usually with the author’s input — but sometimes without it. Occasionally a title is too similar to another book (in the same genre and/or by the same publisher in the same season), sometimes marketing hates it, sometimes … heaven knows what. Who gets review copies of books. Though most publishers have a list of which reviewers in what venues get Advance Readers Copies (ARCs), if someone approaches an author and asks for one, the author can pass the request on to a publicist or editor. These requests are honored or ignored at the publicist/editor’s discretion, based on any number of factors. But more often than not (in my experience) they tend to be granted. Visibility: Part One. A savvy writer can — if he or she has enough free time and/or disposable cash — attend conferences and conventions, manage websites regarding his/her books, and network with other authors, readers, booksellers, librarians, and reviewers. It is also up to the writer whether or not to accept interview requests and the like. Visibility: Part Two. BUT. The vast bulk of the writers I know do not have the free time or disposable cash to pick up and jaunt to every convention in every city, much less send themselves on tour. Obviously authors who have reached a certain level of profitability will be invited around (expenses paid), but more often than not these things are paid for out of the author’s pocket. * And keep in mind that most of us have day jobs and/or families to juggle. The book’s cost. Not up to us. Not even remotely. This is (partially) related to the issue of size and format. See below. Size and format. You’d rather read a hardback? 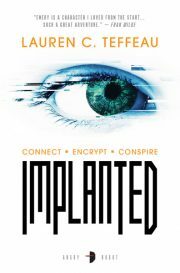 Or a mass market edition (aka, pocketbook paperback)? Sorry. We typically neither (a). control the initial release format, nor (b). decide when it’s re-released or how. This is one more thing determined by sales and marketing. Distribution. Distribution is something so far outside your average author’s sphere of influence that it may as well be handled by hobbits on Mars. If your local bookstore doesn’t have a book you want, the situation’s remedy is in your hands: Almost any bookstore will order titles on your behalf. Quality control. If your copy of a book is missing pages due to a printer error; if it is not printed on paper you like; if the ink is a funny color; if the font gives you a headache. I mean, obviously authors are sorry about these things — but we had nothing to do with the decisions that created the issues … nor can we do anything to fix them for you. Digital availability. Most contracts keep digital rights for the publisher, and if an author can wrestle them away, then awesome. Most of us can’t. Therefore, we have no control over what format the digital versions may take, or how they may appear. Schedule. The calculations publishers use to determine release dates for books are arcane and mysterious. So although sometimes a book’s release is delayed due to authorial issues (handed in late due to failure to back-up files and whoops hard drive asplodey, or whatever), generally speaking we don’t have any say over when the book comes out. Foreign availability. Sometimes foreign publishers want to translate and produce an author’s book. Sometimes they don’t. The end. Foreign availability in other same-language countries. In the case of my books, which are written in English, it may appear that there’s no good reason countries like Canada and England shouldn’t have these books on demand. I agree. But see above re: Distribution. Turning the book into a movie. Sometimes Hollywood producers are interested in turning a book into a movie. Sometimes they aren’t. The end. * For example, last year’s 8-day “Paranormal Bender Tour” was paid for out-of-pocket by me, Mark Henry, Mario Acevedo, and Caitlin Kittredge. Likewise, I still am not cool enough for DragonCon to fly me out or put me up; so that’s a couple grand (when all is said and done) that I have to cover for just that one event. ** This is less true for smaller, independent publishers, who — on the whole, I think — tend to be more receptive to author input with regards to design. I realize that the plural of “anecdote” is not “data,” but by and large this seems to be the case. Reprinted with permission from Control by Cherie Priest. 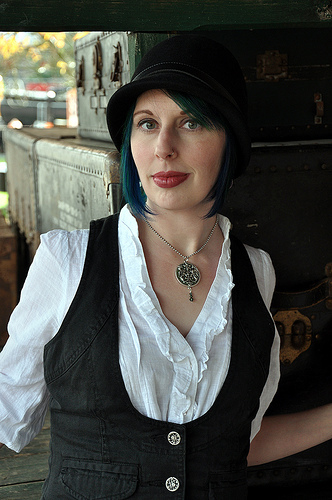 Cherie Priest is the author of seven novels, including the steampunk pulp adventure Boneshaker (nominated for a Nebula Award and a Hugo Award, winner of the PNBA award) and the Blooker-award winning Four and Twenty Blackbirds — as well as Fathom, Wings to the Kingdom, and the Endeavour award nominated Not Flesh Nor Feathers from Tor. Her novellas Dreadful Skin and Those Who Went Remain There Still are published by Subterranean Press. She has four more books forthcoming, one from Tor (Dreadnought), one from Subterranean (Clementine), and two from Bantam (Bloodshot and Hellbent). Her short stories and nonfiction articles have appeared in such fine publications as Weird Tales, Subterranean Magazine, Publishers Weekly, and the Stoker-nominated anthology Aegri Somnia from Apex. Though she spent most of her life in the southeast, she presently lives in Seattle, Washington, with her husband and a fat black cat.